How can I learn more about law school and the legal profession? Because the profession is so broad and multifaceted, the best way to learn about it is to speak with attorneys about their unique experiences. In addition, a number of written materials contain valuable information. Work or volunteer experience in a law-related field can also be a valuable way to gain first-hand insight into the profession. The KU Pre-Law Society offers several opportunities to explore law using these techniques and others. Visit the pre-law advisor’s office for suggestions, contact names, PAD Pre-Law Fraternity information and other helpful materials. If you are a woman, a student of color, an LGBT student and/or a student from any other background that has historically been marginalized within or excluded from legal education, there are also other resources that can help you prepare for law school. What factors are considered in admission to law school? Other factors that law schools will consider include extracurricular activities, letters of recommendation, a personal statement, resume, and the rigor of academic coursework. Law school admissions committees do not have “preferred” majors. Students may choose any of a variety of majors at KU to obtain the communication and analytical skills necessary for law school. It is most important for students to select a major in which they are truly interested and, consequently, have the opportunity to attain academic success. Will a double major increase my chances of getting into law school? No. A double major is fine if a student wants to complete one, but in and of itself, it will not increase your likelihood of admission to law school. Are there specific courses I should take? Is there a pre-law curriculum? No. There are no required courses or major for law school admission. Students should choose a variety of courses that challenge them to write and think clearly, and expand their knowledge of different cultures, social and religious philosophies. The LSAT and law school admissions committees do not expect students to have knowledge of law prior to entering law school. However, the KU Pre-Law Office does offer a list of KU courses related to law for personal interest or to learn more about the legal field in general. What can I do as a freshman/sophomore to prepare to pursue a law degree? Are foreign languages required for admission to law school? No. However, learning a foreign language can sharpen analytical skills and increase understanding of the English language, which are both important skills for law school. The LSAT should be taken either in June after the junior year or in early fall of the senior year. 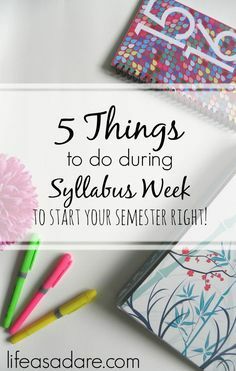 In general, students tend to perform better after their junior year, and since there is no advantage to taking it before this time, one should not plan to take it earlier. Because the fall test date often coincides with mid-term examinations, many students find that taking the LSAT in June after their junior year is preferable. Also, if students take the exam in late fall and something goes wrong (you get sick the day of the exam, make a mistake on your answer sheet), retaking the exam may negatively impact your chances for admission at schools with rolling admissions (there may be fewer spots available later in the admissions cycle) or financial aid (there may be less money available later in the cycle). Should I plan to take the LSAT more than once? Should I take a practice test first? That depends on a number of factors, including the school(s) to which you are applying. Whenever a candidate's LSAT scores are sent to a school via CAS, all scores are sent. However, the ABA only requires law schools to report the highest LSAT scores of admitted students, so some schools only look at those. But other schools still average the scores or look at all of the scores earned when considering a student for admission. At the end of the day, remember that law schools in which you are interested see all of your scores. Also, students are only permitted to take the exam three times in a two-year period, and it’s hard to get an exemption from this rule. Students should always consult the pre-law advisor before registering to retake the LSAT. How do I prepare for the LSAT? How is it scored? The LSAT is not a test for which you can cram. It tests aptitudes as opposed to specific knowledge. Preparing for it should be a process of familiarizing yourself with the format of the test, the types of questions that will be asked, and the pace of the exam. This is a process that often spans several months. A variety of study guides, preparation materials and courses are available to help you get ready for the LSAT. In particular, the Law School Admission Council publishes complete, authentic, recently administered LSAT exams that are available for purchase in book form. They also make a previous test available for free (PDF). Visit the Pre-Law Office for a sampling of materials and more information on commercial prep courses. The LSAT is scored on a scale from 120 to 180. Although you will answer a total of about 120-130 questions, your score is determined by the number of correct answers on the four scored sections, usually covering a total of about 96-104 questions. (There are five sections on the test, but one isn’t included in your score). The writing sample is also not included as part of your score, but it is copied and sent directly to the law schools to which you are applying. While individual questions do vary in difficulty, each correct answer makes the same contribution to your score, regardless of how difficult or easy it may be. Thus, no question is worth more than any other. Within each section of the test, questions may not be arranged in order of difficulty (except for the logical reasoning/logic games section of the LSAT, which generally increases in difficulty as you progress). LSAT scores are not absolutes; a 180 does not necessarily mean that every question was answered correctly. (You could have as many as two or three questions incorrect and still receive a 180). Nor does a 120 necessarily mean that you scored every question incorrectly. Generally, you will need approximately 15-17 correct answers before your score moves above a 120. Once you reach that threshold, your score will increase roughly two points for every three additional correct answers. It is critical to note that your test score is based on the number of questions answered correctly, and that there is no deduction for incorrect answers. Thus, you are not penalized for guessing and should never leave a question unanswered. The LSAT is a deliberately "speeded" test, and you will probably find yourself quite pressed for time during the exam. This fact makes it imperative that you practice taking the LSAT under timed conditions so as to familiarize yourself with the pace that you will need to keep on the day of the exam. Even with such preparation, it is not unusual to find that you are not able to finish each section of the test without a certain amount of guessing. Please note: If utilizing previous LSATs for exam preparation, the exams since 2007 tend to more closely mirror the current level of difficulty for the reading comprehension section. The answer choices are written in such a way that more than one answer may seem correct. Logical reasoning is effectively half of your LSAT score. Why is the LSAT important? Many law schools view the LSAT as a good indicator of future performance (i.e. the better you do on the LSAT, the better you will do in law school. Law schools send end-of-first-year grades to the LSAC and they are correlated to LSAT scores. Data indicate there is a relationship between higher scores and better performance as a 1L. This is important because undergraduate studies are often quite different from what you will be doing in law school. The amount of material you study, the type of material you study and how you study it will differ, so admissions offices rely on the LSAT to tell them something about your readiness for law school. The LSAT also provides a common yardstick by which law schools can compare different students from different schools with different majors. It is also relied upon by many schools to help determine amounts of scholarship aid awarded to particular candidates. When do I apply to law school? Applications should be completed and sent to the schools to which the student is applying as early as possible in the fall. Some schools make the first round of admissions decisions in November, so it is important to know the admissions cycle of the school(s) to which you are applying. The majority of law schools require at least one letter of recommendation and may ask for up to three. The strongest letters of recommendation come from faculty who are familiar with a candidate’s intellectual abilities, leadership potential, and other skills relevant to a law school admissions committee. Avoid seeking out a recommender who has a fancy title but does not know you well enough to speak to your relevant attributes. Letters from Congressmen, judges, ministers and family members do not carry any weight and can have a negative impact on the committee. A student does not need to prepare a file of recommendation letters until shortly before applying to law school. However, it is helpful to begin building rapport with instructors or faculty advisors early in your undergraduate career. Are there particular things that law school admissions offices generally look for in a candidate? Does this candidate have the ability to succeed academically at our law school? What qualities, skills and/or experience does this applicant possess that we consider important to the study/practice of law? How does this candidate compare to other candidates? Is the personal statement important? Yes. You should treat it as your interview with the admissions committee. Most law schools don’t require an actual interview (University of Missouri-Kansas City is unique in that it does). Try to write a compelling opening paragraph, something that could help your statement stand out from the crowd. This is important given how many applications the committee reads. Make sure your statement is error-free. Students should have the pre-law advisor review their personal statements. Has the employment picture rebounded for law school graduates since the recession? Not completely. Some jobs are back, but not all of the jobs lost since the recession have been replaced. Average salaries are down from the pre-recession high, partly because big law firms (with big salaries) are still not hiring as much as before. Is there a high attrition rate in law school? Do a lot of people leave without finishing the degree? The overall attrition rate for law school students was about 14 percent for the Class of 2012, with about 49,000 students starting their programs and about 44,500 graduating with a law degree. You should check the attrition rates for the school(s) you are interested in to get a sense of the environment. Do students feel positive about their prospects as a graduate? Do students feel it is a good environment in which to study law? These issues are addressed obliquely by the attrition rate, but if you’re really curious about the environment, speak to current students at the school.